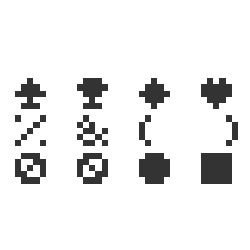 I made a 5px font for roquelike purposes, there are some glyphs that can't be found in regular fonts. For the font's page, click here. The font is not meant for typing, but as a vector format which you can use for purposes like after editing.